To most Rory Gallagher fans, the line-up from 1972 to 29 April 1978, with Lou Martin and Rod de'Ath, was their favourite one. With this line-up, Rory made 4 studio albums and 1 live. Most fans had not heard from Rod after 1978. Last year, when many obituaries on Rory appeared in music papers all over the world, Rod de'Ath also was referred to as passed away (Tom O'Driscoll confirmed this when I met him in Ris-Orangis). Most noticeably in German music magazine "Good Tines" [sic]. It almost seemed to be a Spinal Tap biography (Wilgar Campbell also died some years ago). When I visited the memorial service for Rory in the Brompton Oratory, I saw someone who looked familiar, but whom I couldn't place, although someone suggested to me it might be Rod, which I passed off as ridiculous. Later on I heard from more people this had indeed been Rod, who at that time had already left the reception at the Irish Club. It was Rod whom I thought of interviewing first for Signals. An appointment was made easily with this charming Welshman. When I was in London in February this year I rang him up on February 7 and arranged an impromptu interview with Rod at Steptoe’s s pub in North London, where we chatted and drank for a whole afternoon and reminisced about the past. Here is a rough sketch of what we discussed. Jakob: It's good to see you. How are you? Jakob: I'm glad you could make it and are willing I to do this interview for the fan club magazine. I would have talked with you last November had I been sure it was you, but then again I don't believe in ghosts and mistook you for someone who looked like you rather than it was you, but I'm sure we now can make up for that moment. I was really surprised to find out you are still among us. Rod: So were many others present. Some of them were really shaking on their feet when they recognized me or when I walked over to them. It was a very special, emotional day for most of us, I'd say. Jakob: It sure was! How did you find out about this memorial service being held? Rod: Well. I read about it in the papers and decided to go. Jakob: You also heard about Rory's death? Rod: I did, but I thought it would be macabre going to Rory's funeral when everyone believed I was dead. It would be out of place showing up then when Rory was actually being buried. That's why I decided to wait for a more suitable moment and November 8 was the right moment. Jakob: You must have amazed many people at the time? Did you speak to Lou, Donal, Mrs. Gallagher and Tom? Rod: Yes, I met them all and it sure was a strange sensation for them, as well as it was for me. Jakob: Most fans always refer to the line-up with you and Lou as the best Rory ever had. Rod: To be honest, so do I.
Jakob: Could you tell me how you teamed up with Rory? 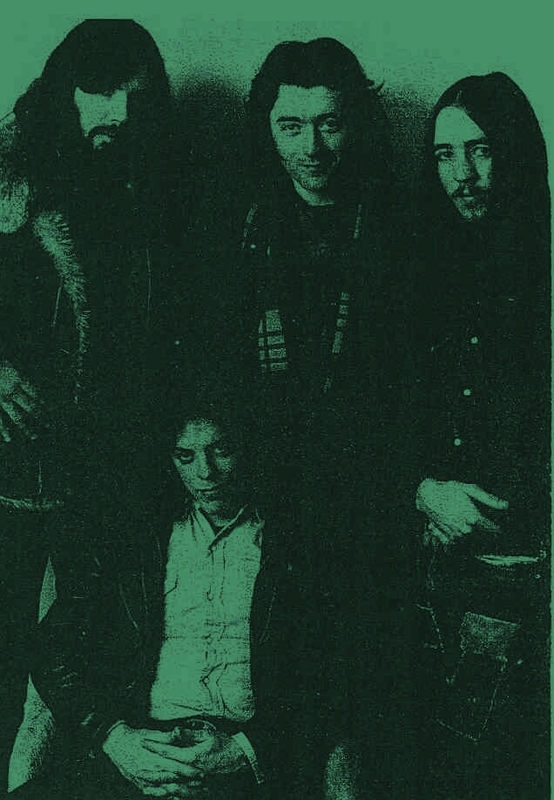 Did Rory see you play with Killing Floor (the band Rod & Lou were in before they joined Rory in 1972)? Rod: I don't think he had seen us play, he might have heard our music though. I was sharing a house together with Gerry McAvoy at the time and when Wilgar couldn't play at a few concerts in Bavaria, Germany, I think it was, or Austria, Gerry recommended me to Rory and I replaced Wilgar for a leg of Rory's European tour Autumn 1972 and I think Rory was quite content with my playing. It was some months later. when early in the morning, I got a phone call from Rory's agency whether I would join Rory's band and come over to Cork that day and play there. I was still with Killing Floor at the time and we had just finished our third album and it was a difficult decision, but my wife said that an occasion like this would only come up once in my life, so I agreed. I took a plane to Cork and was picked up there at the airport (by Mrs. Gallagher, who drove him to Rory and the rest of the band). From then on I was with Rory and I have not regretted one moment. I was treated and paid well and toured all over the world, and Rory played a lot of concerts and topped many bills at festivals, and I even was voted in the polls drums section. Jakob: You played the USA a couple of times with Rory. When do you think the time Rory had the best chance of really breaking through on a large scale? Rod: In 1973, 1974 I'd say. I think we supported Deep Purple or Fleetwood Mac at the time and it turned out that many people showed up for us, rather than the headline act. People were shouting for songs like Tattoo'd Lady, A Million Miles Away, In Your Town. although Rory had never released singles at the time, which I always regretted as some of them were really fit for it. I really sensed we would make it big over there. It was all still on a small scale, the 4 of us, Donal driving and setting up the stage and doing the sound with a few local roadies. It was only later during the tour when Tom showed up, because Donal had to do so much at the time, and Rory was not too keen about that idea first, but later on they became best friends. Jakob: Playing such long tours, I think Rory did the longest tour ever at the time, must have been exhausting considering how long the concerts were? Rod: Yes, but all the time I just did it, although it surprises me how I was able do it considering the hard life, booze and drugs I used and tried out the time. I nearly was sent back at the customs, because of the drugs I carried with me. I lived a wild life off stage at the time and I remember we were doing a festival in Europe once, it was a whole week-end when Keith Moon of the Who, me and another drummer of a very big band were having a wild party that ran a bit out of hand. I don't recall where it was, probably in Belgium or France (maybe VARA's Popgala March 1973. Holland? J.M.). I even once ruined a hotel room after too much booze and drugs, was nearly evicted of the hotel we were staying in, but Donal saved the whole situation by explaining how important it was for me to stay there because we had to finish the tour. Jakob: Who would have expected that of a seemingly quiet man of a band with a good reputation of character? Rod: Well, it did not happen all the time, but some of the time, and after having seen a doctor in the States once, who told me how seriously I was damaging my health & organs, I radically changed my life-style. Jakob: Working with Rory must have been an excellent training, I gather, for he used to give long exhausting and demanding concerts. Rod: Yes, that's true, but still I think I had had my training long before that. I've been playing instruments from my childhood years on. Piano and drums. I was drumming on any object I could find. I won some awards when I was just a teenager in contests and knew I would become a professional drummer. Rory didn't train me, but in a way, I trained Brendan O'Neill, who was also in the same house as Gerry & me. I even knew Mark Feltham in those days. Jakob: Your name is Belgian isn't it? There's a small called Ath in Belgium. Rod: That's right. My great –grandparents lived there and the great grandfather even was in the army who fought against Napoleon. It was odd that when we played Belgium, fans would often ask me of my descent. Jakob: Do you recall any special things that occurred in your years with Rory on the road? Rod: I remember a tour in the States once that went down very well, good receptions everywhere and, as you might remember, I usually threw my split drumsticks into the crowd. And on this particular night, this happened, say 5 or 6 times. After 3 or 4 encores, we got into the dressing room and Rory was the only one who didn't seem to be content and was brooding. We tried to cheer him up and told him to listen to the crowd and how very good the concert had been. Then after 5 or 10 minutes he came towards me and asked me whether I was angry or if he had done something wrong. I denied that. He then asked me why I was throwing those sticks at him. They had apparently just missed him by one inch or so. I explained that they had broken and that I was trying to please some fan with it. Then he was relieved and we all laughed loud and long . Rory was a sensitive man. Jakob: I also remember you went to play in Poland. The first Western band to do so. Rod: That I remember all too well. We did 3 or 4 concerts in Warsaw and Gdansk, if I am not mistaken. The audience was brilliant. They had not seen and heard anything like us before, were quiet during the shows and applauded immensely after the songs & concerts. After the shows, many of the people came backstage to thank us for our concert. From 18 til 'what have-you'-olds. That was very moving. The last concert was attended mainly by people from former East Germany, who came to Poland in coaches, hundreds and hundreds of them, because we were not allowed to play over there. Probably the Polish government had made a deal with East German government. That concert was a very emotional event and everyone came backstage, lined up and shook hands with us and had tears in their eyes. Our visit in Poland got into many rock magazines, even in Rolling Stone. Jakob: For the original Photo-Finish album recorded in 1977 in the US, with producer, Elliot Mazer, money and time was not saved. You played some of these songs during your UK Spring ’78 tour and that sounded promising, but that album was never released. Could you tell me a bit about what that album sounded like? Rod: I thought it was a very good album, the best we had done together. It was more laid back and with several rhythm patterns, sort of Little Feat-ish. I did not have the impression at the time that Rory disliked it, but he withdrew it and later, Lou and I were out of the band, no hard feelings. but until this very day I have not understood why. It was an absolutely great album. Jakob: After that you kept on playing with Ramrod and sessions at the Bridgehouse with Gerry & Lou-etc. What did you do afterwards? Rod: I did some studio work and played in some local pubs & clubs and then moved to the States, where I lived for a number of years. Towards the mid eighties, I went back to the UK for a production with a band called Road Erect. They wanted me to produce it and I knew London, so off we went. It was then when I had a severe accident at which I lost one eye, had severe brain damages and got into a coma. As I had no permanent address in London for my house, and because were in the States, it was very difficult for the doctors & nurses to find out who I was and where I stayed. It was much later when I regained consciousness and was able to move a bit, that I realized that I was awakening, but in the beginning I did not recognize anyone or anything. Very gradually this changed and when the first relatives were at my bedside, I sensed something familiar, but I could not place them. That only happened later on. As I had stayed a long time unconscious in London, my house in States had remained unoccupied for a very long time with the consequence it was looted & I had to start all over again in London with my wife and daughter. I am still seeing doctors regularly for checks and still have bouts of pain regularly, but have outlived their expectancy of my life span, which I celebrated. Jakob: You cannot play the drums anymore, I guess? Rod: No, that's over, unfortunately. I can look back, however, to a long career as a professional drummer with Rory,. Killing Floor. Jakob: It' s amazing how much you can recollect now! Rod: It finally got back and I`d say for 95 %. Jakob: . So you have lost all your possessions and have nothing which reminds you of your career as a professional drummer? Rod: No, my mother kept an album with all the articles that had appeared in news and rock papers from say my childhood years until 1980 . She even went with me to see Irish Tour '74 when this was shown at ABC Cinema in London. Unfortunately, she died and my father burnt everything she had kept for and on me. After this, our conversation came to an end and Rod got some Dutch" stuff". Rod, I hope you' re doing well. It was a pleasure and privilege to have met and spoken to you. Anyone who has photos and articles for Rod, please send them. I will send the over to Rod with your name etc.